From rocking the Bob Carpenter Center at UDance 2016 to opening for indie pop artist Betty Who, UD’s own singer-songwriter Marielle Kraft is making a name for herself both on and off cam pus. On this episode of The Music Room, Mandorichard and Liz Webb chat with the local celebrity about her music, her experiences, and her future goals. In July of 2014, Marielle released her first EP, “Today Tomorrow Someday,” after recording at Midnight Muse Studios in Newark. Influenced by artists like Colbie Caillat, Taylor Swift, and Sara Bareilles, Marielle creates melodic and relatable songs using her guitar and her perfect, natural vibrato. Along with writing original music, Marielle performs covers and collaborates with other musicians for more than 1,000 subscribers on her YouTube page. Marielle Kraft with hosts Mandorichard and Liz Webb. 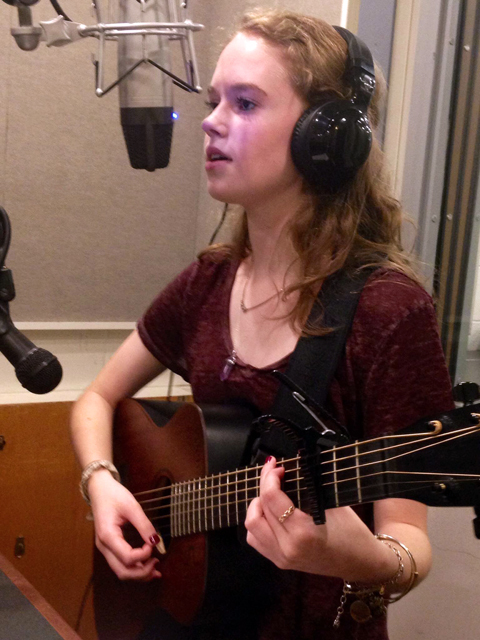 In addition to writing and performing music, Marielle studies elementary education at the University of Delaware. As an elementary school teacher, she plans on incorporating music into her lessons to create a comprehensive and enriching classroom experience for students. 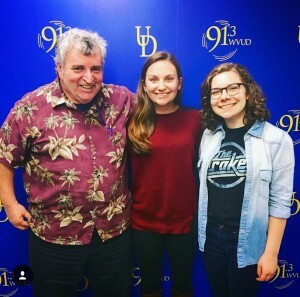 Check out the interview below to discover more about Marielle Kraft and to hear her play four original songs live in the WVUD studio. Marielle Kraft, Hosts: Mandorichard and Liz Webb, Recorded live on WVUD April 12, 2016. Grounded in gentle song spinning and a keenness for acoustic guitar, Hanna Paige treated us to some of her original music on the Music Room. The sixteen year old Newark native is sweet and locally grown, a young talent that has frequented local cafes and festivals for the past three years. 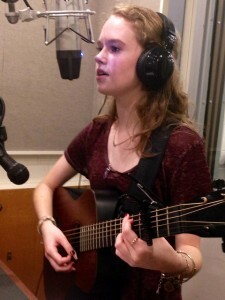 Hanna showcased her soft melodies live in studio, playing both guitar and ukelele and offering up thoughts on her lyrical choices, her love for Ed Sheeran, and the Delaware music scene in general. She led us through her debut EP, Let’s Run Away, which is the published product of much tinkering and performing. 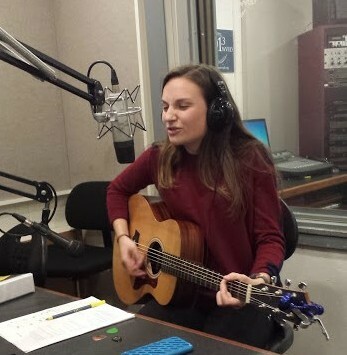 We were happy to be part of Hanna Paige’s first radio appearance and look forward to cheering her along as she continues to mature and produce songs for guitar… and maybe she’ll even tackle loop pedal soon.